Got questions about oil pulling? Your holistic dentist in Southlake has answers. Keep reading to find out everything you need to know about this good health habit. You already know oil pulling is good for your own mouth, and now you’re wondering whether or not you can get the whole family in on the habit. Yes, oil pulling is good for kids too! Once they are able to rinse (i.e. not swallow toothpaste and mouthwash), children can receive all the toxin-removing benefits of oil pulling as well as you can. It can be difficult to get them started in the routine, though, as they may find holding oil in their mouths to be yucky at first. Our advice: start out slow and use smaller amounts of oil to help them get used to it in the beginning. With any luck, they’ll look forward to oil pulling along with you every morning! 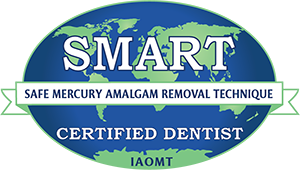 Good question — you should not pull oil if you have amalgam (aka silver) fillings. Doing so can pull the toxins from the amalgam and introduce them into the bloodstream. 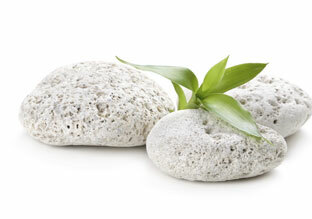 A tooth colored filling is made of natural composite resin, so that is fine when oil pulling. But beware oil pulling with silver fillings. How long do you need to pull oil? It’s best to oil pull first thing in the morning before you eat or drink anything. The recommended amount of time is between 10 and 20 minutes, but you may need to work up to that amount of time right at first. Try to perform oil pulling 3 to 5 times a week, like maybe striving for every morning before work. You can continue to oil pull for as long as you want — weeks, months, years — without any adverse effects. Can I pull while pregnant? Yes! There is nothing dangerous about oil pulling while you are pregnant. Remember that the ingredients you are using (coconut oil or whatever your oil of choice is) are completely natural. What’s more, the toxins are pulled out through your mouth rather than flushing through your system. Oil pulling is a great thing to do when you are making health choices for you and your little one. Do I have to oil pull in the morning? It’s best to oil pull in the morning on an empty stomach, but you do not necessarily have to. Just make sure you don’t do it on a full stomach, which can decrease the detoxifying effects. Dr. Preetha Thomas is a dentist in Southlake offering comprehensive dental care and education on techniques like oil pulling. To learn more about this practice or to schedule an appointment for whole-health focused dental care, please contact Enclave Dental at 817-912-1218.